Although by no means qualified to be a movie reviewer, I am incredibly well qualified to review this movie on its merits as a standalone production rather than as a comparison with the stage show as so many reviews will do. This is because I had never seen the stage show; I had not read the book. I did not know what the story was about and could not even identify any songs on the radio as being from the stage show soundtrack. I only found out ‘I dreamed a dream’ was from the musical when I saw it being sung in the film for example. There was Susan Boyle singing her heart out on Britain’s got Talent and I had no clue what the song was about or where it was from! So if you aren’t familiar with what Les Mis’ is about either, at least you will have half an idea by the time you have read this. I am also not a fan of ‘musical theatre’ which I thought Les Misérables was. I thought it was a musical! It’s not, or at least it should not be described as such. More on that later. 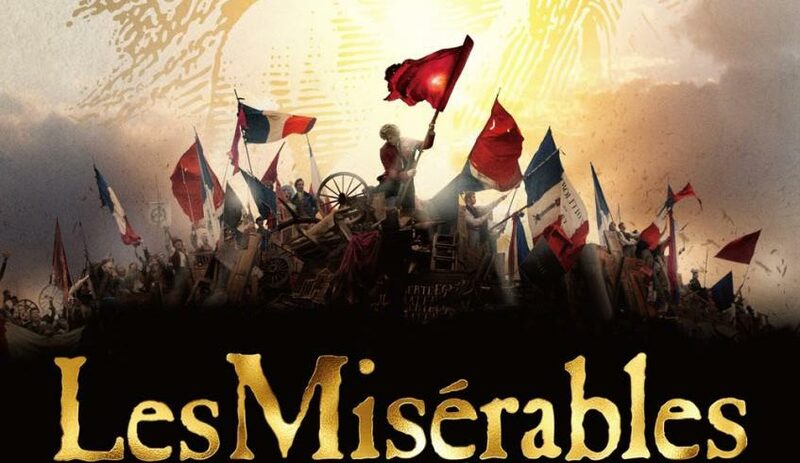 I thought Les Misérables was about the French Revolution and even that is wide of the reality. So no, I had no preconceptions at all when I walked into the cinema to see what all the fuss and hype was about. I’m not too worried about revealing any of the plot as it seems everyone but me has seen Les Mis’ and knows more about it than I do or did. So I can crack on with what I thought of the film. Firstly, who knew it was actually a love story and a tale of a man discovering the merits of good morals over thieving with a backdrop of a small insurrection in Paris towards the end? More a revolt than a revolution as the actual French Revolution was about 40 odd years before the story’s climax. The Revolution with everyone being guillotined in downtown Paris was long over. This story was set in the power squabbles that followed. Apparently this particular skirmish or revolt was so insignificant, if Victor Hugo hadn’t written about it in the original book no-one would have remembered it! Yes, I also found out that the story was written by Victor Hugo. He must have been quite popular when they were building France after the revolution as it appears every single town and village in France has a Rue named after him. Back to the film as an adaptation of the longest novel ever by Victor Hugo, or just about anyone by all accounts. The stage show was described as a musical play. You know what it is? It’s an Opera, not a musical. Les Misérables first and foremost is an Opera and should be sung by Opera singers, not actors who learned how to sing a bit. The thing is though that when Les Misérables as a stage show first appeared the critics weren’t keen and if it had been sold to the public as an Opera, the public and therefore commercial appeal would have plummeted. It probably would not have survived a week let alone being what must be the longest running stage show of all time. So I guess someone likes it. It seems though, that in the book version of this story, there is little to sing about. Despite that, the film is a musical where every single line is sung, even the talking bits and that’s just odd. If you knew you were going to the Opera you would expect it, but not in a movie. Watching people have a conversation by singing to each other is odd and uncomfortable. It took me half the film to get used to it. The Acting is fantastic, really top drawer thespian efforts but the singing is just adequate for musical theatre and some way below par for the Operatic quality required to do any of the songs any justice. This is where the movie was more hard work than enjoyment for me. Because of all the singing of conversations between actors whose day job is not singing, the film spent its entire duration just one flick of the pen away from being a comedy. The slightest amendment to the interpretation and this film dissolves into pantomime. Certainly the Master of the House scene was pure pantomime with no pretext of being anything else and I gather that is not what old Victor intended. Again, I had no idea about the content or the story of Les Misérables and when the little bun fight between the Students and the tenacious Javert is over and the revolt is quashed the love story proper kicks in and I was beside myself. The film is actually just for girls and blokes in touch with their feminine side. It is relentlessly depressing which shouldn’t come as too much of a surprise given the title but I was expecting more revolution and less love story. I actually couldn’t believe that was it. All those tricolours, barricades and revolutionary images all over the show on the marketing material? The revolution has bugger all to do with the story and is simply a back drop to one of the scenes. Some students getting all rambunctious in the back streets of Paris with no popular support hardly merits description as a revolution, rioting might be nearer the truth. No, the film is not for chaps looking for an entertaining night out. Too many tears, anguished face pulling and moral judgements or statements being sung about, not very well. The students looked like they had taken a night out in Paris from Eton College and the French soldiers swiftly put them in their place as they were too pretty to be convincing revolutionaries. I know people who have been along to this and were thrilled with it. They are creative people who admire a sumptuous set and some good writing. They appreciate good acting and quality film making. In truth and to be fair this has all those things. But it hovers closer to comedy than tragedy somehow. I think it’s the singing. The lines in Les Misérables are remarkably simplistic, astonishingly so. I was actually amazed at the basic lines and rhymes, but it works as a musical piece. It would work even better as an Opera, sung by Opera singers but the high-brow Opera set would probably find it too simplistic and therein lies the rub. As a standalone film it’s pretty magnificent if you like tales of morality and love stories, sung by actors rather than singers, but once again it’s lacking something, gravitas perhaps. There is definitely something not quite right about it, perhaps it’s the singing? Have I mentioned the singing? But in my view, it’s a film for women mostly, but possibly also for the sort of chaps who enjoy elaborate, expensive hair cuts and wear spectacles with unusually coloured frames. It’s for blokes who button their shirts up to the top and wear skinny jeans with pointy shoes, it’s for people who work in and around films and musicals and French people (who might be surprised to hear the cockney accents of the urchins). If there was a re-discovering of the new romantic movement from the 1980’s, fans of that period would love this film. You’ll see what I mean when you see it. I had heard that everyone should take tissues along and there would be floods of tears all over the place. I get all emotional at sad films like lots of people and more so than most. I was not even slightly moved to a sniffle in this movie. Frankly I was far more aghast than grief stricken. I have no idea how people can get emotional at a film where everyone sings everything to each other, not all that well. So it’s not for me on many levels. I’m not going to suggest anyone goes or chooses not to based on my personal view but my tip for the chaps is as follows. If you are being taken along by your lady friend or other half and are going out of duty, your duty to both you and her is to suggest she take a girlfriend instead. If I were to do a 3 word review of Les Misérables? It’s for girls. I loved Les Mis when I saw it at the Palace Theatre aged about 10 but it did have proper singers (or so it seemed at the time). I didn’t enjoy it half as much when I went as an adult. I would possibly see the film, especially as it was filmed in Greenwich, but I would let Dafe no where near it, and I would find all that singing a bit comical too. Did Greenwich look beautiful? The boat yard? I don’t remember noticing Greenwich. Jen said the stage show with the original cast was much better. She also thought the film was odd. Not sure which bit, it was being filmed around the Old Royal Naval College. Shall I sing it to you? I enjoyed that Sandy, you have a gentle but effective way with your critic. Time for me to show just what a Philistine I am again. As a teen I was taken to experience my first Opera, Aida, I was enthralled by the theatre of it, the music and the voices, quite astonishing. Then in later years I read the translation and thought how bizarre it was that anyone could turn such banal conversations into so beautiful a sound. Still enjoy listening to most Opera as long as I don’t do the translation.Which is probably why I can’t abide Musicals to this day as they, viewed in the UK, will of course be in my own language. Thanks Jon. I’ve been to a couple of Opera’s. It’s an amazing experience. I wouldn’t want to go all the time but once in a while is a tremendous thing to do. We are very lucky to have been to Glyndebourne a few times. I don’t like Musicals for the sake of themselves but do enjoy some of the epic show tunes from the old days. Like from High Society, Oliver, West Side Story etc. Love the musical stage show, not so keen to see the film. Don’t think I could sit still for that long. Was there an interval? Thanks for the heads up. We’re off to see Quartet instead x.
Hi Lesley, no interval at the Odeon in Guildford and there was much fidgeting, not just by me. See! Haha, nice one Lesley! I saw Les Mis by myself in the West End when I lived in London in 1990. It was pretty good as a live production and it stuck out in my memory. But I can’t stand movies where the singing is sung all the way through. Thanks for the heads up. Being a movie they could have taken some liberties and jazzed it up a bit. Did you see Baz Luhrman’s Romeo and Juliet? That was friggin’ awesome and I was not put off by the singing at all, to me the story was told in a modern way and some great artists got their songs put on there. I even kind of enjoyed Moulin Rouge. But Les Mis with actors singing? Nah, not for this nancy boy I’m afraid. Thanks Suzanne! I know I would rather see Carmen and Glyndebourne! Good piece. I so agree with you about the singing! I have indeed seen the theater version and left the auditorium looking like Alice Cooper. Mascara and snot everywhere. At the theater, the actors/singers voices carry the emotion and slam it straight into your heart as they reach and resonate. You can really feel it. Thanks! Nice image on the Alice Cooper look! Hi, do you have a high quality version of the Les Mis picture that you used in this article? Hi Clare, sadly no I don’t I had to use a low res non copyright version. Can empathise with you completely although I haven’t seen the filmed version, however, I went to the stage production in Auckland quite some years ago. I did not like!! Didn’t really ‘get’ it either, the plot. Thought it was very depressing and boring. Learned more about the story line from your post.